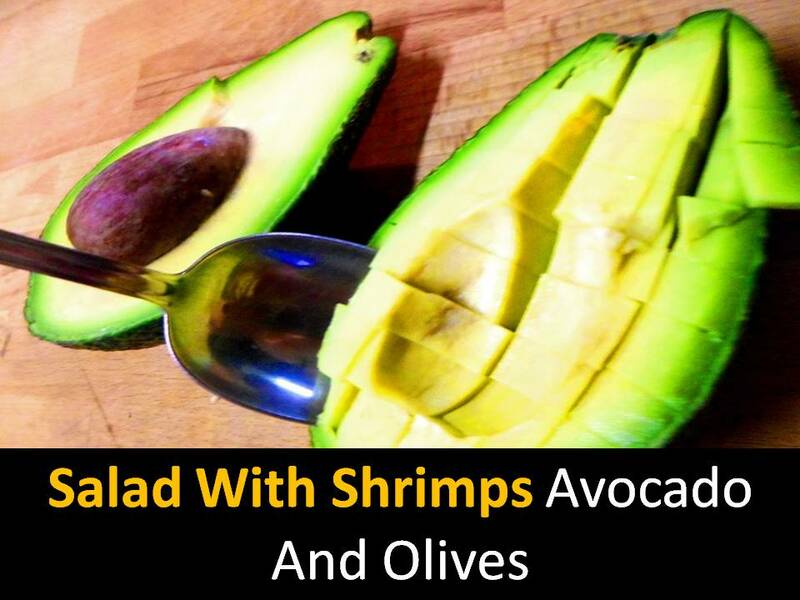 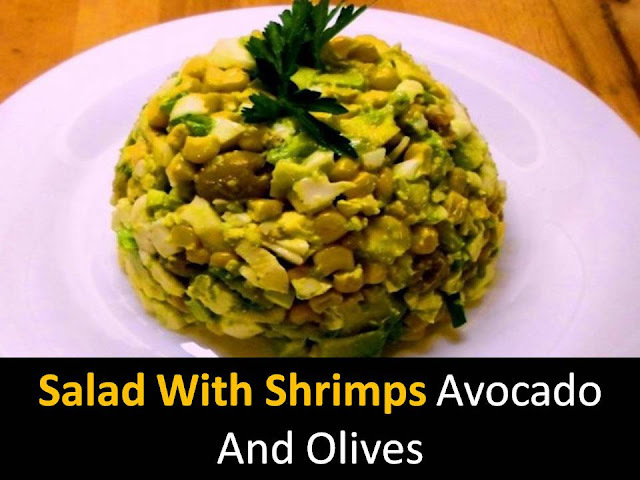 Salad with shrimps avocado and olives dish for those who like exotic and not afraid of bold culinary experiments. Salad can be prepared for dinner. Step1 - Boil raw chicken eggs peel and chop And Cut the ripe avocado fruit cut the flesh in the form of a "lattice" scrape it with a spoon. 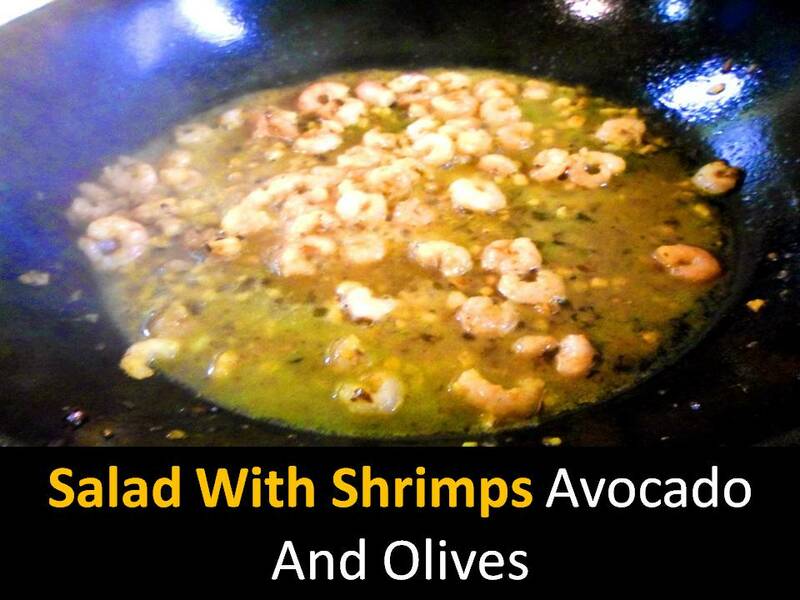 Step3 - Add seafood to the remaining ingredients and mix. When serving, sprinkle the salad to taste with fresh lemon juice.